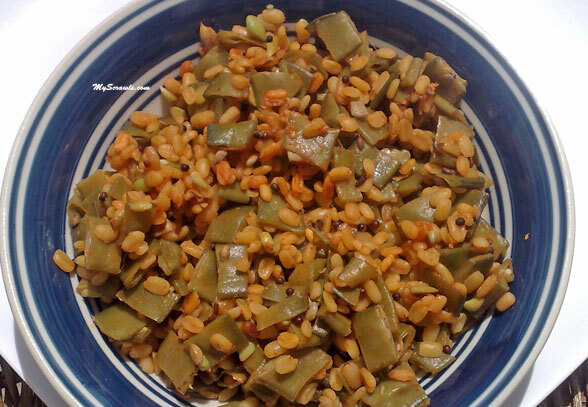 I love adding moong dal with beans/cluster beans. I thought of adding the same in pea pod sabji and tried it. Mushy pea pod tasted gud with crunchy moong dal! Though I like the veggie, I always feel that pea pod has a sour taste compared to beans. Adding moong dal washed out the sour taste and the sabji tasted really gud! 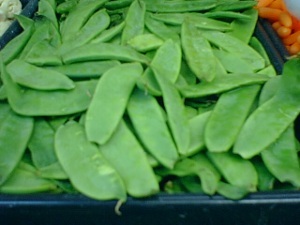 Nutrition Info: Pea pod is the shell that holds green peas. 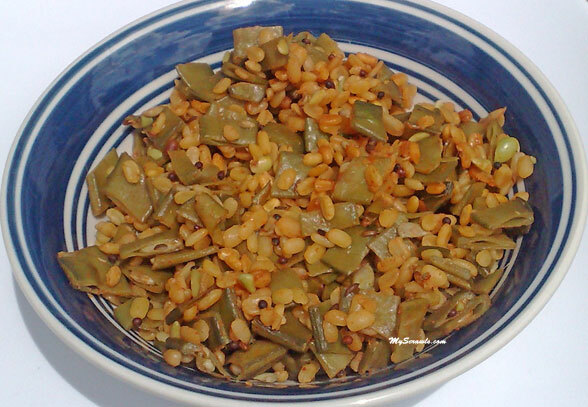 Pea pods are good source of protein and dietary fiber. Note: I have not pressure cooked the dal. Instead I boiled it with water. This way, I can ensure that the dal is cooked to the extent that it retains its crunchiness. Pressure cooking dal may turn it very mushy. Boil dal in water adding turmeric and salt to it. Meanwhile heat oil and do seasoning with mustard, cumin seeds, asafetida and curry leaves. Toss chopped pea pod adding chilli powder and salt to it. Sprinkle water and steam cook the veggie. Once done, drain water from cooked dal and add it to the curry.